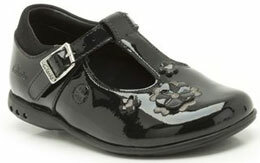 Clarks Trixi Bay – girls black patent leather sweet shoe for those first few years in school, T-bar style is perfect for providing a supportive and comfortable fit. 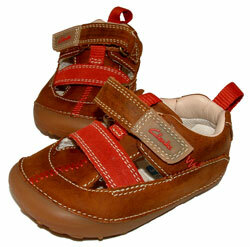 Sweet flower embroidery gives lovely detail and with the buckle fastening these shoes are secure for all day wear and also for making sure little ones do not pull them on and off too easily. With FLASHING lights in heels!